At your Glendale dentist, we know that the secret to great teeth is consistency and regular visits to the dentist for an examination and cleaning. While we understand that visiting the dentist is probably not the first thing on your “fun things to schedule today” list, we also know there are intrinsic benefits to seeing your dentist on a regular basis. A number of patients and families have come to the understanding that prevention is better than cure and that they would rather come in for a brief, routine visit than have to deal with dental emergencies, dental discomfort, or needing to rush in for a complicated procedure. The patients who do come in once every six months tend to work with us to fend off any major dental issues. When you are considering the pros and cons of visiting the dentist, consider that most dental problems begin very small. Untreated, they can grow significantly until they are serious issues. Regular dental visits can help avoid this by doing two very important things. First, we clean your teeth, removing excess dental plaque. When plaque is allowed to build up in those hard-to-reach-with-the-toothbrush spots, it leads to cavities and decay. Second, we give you a full examination, seeking any problems that may be lurking, so we can catch them in their infancy stages and treat them before they cause you any discomfort. Unfortunately, too many people are still not taking advantage of preventative dental care, and the number of those who do is going down. In a study of people who had visited the dentist at least once in a 12-month period, between 2002 and 2012, we found that the percentage went down from 44.5 percent to 42.1 percent. This means fewer people are coming into places like a Glendale dentist for prevention, and more are coming in for a cure. 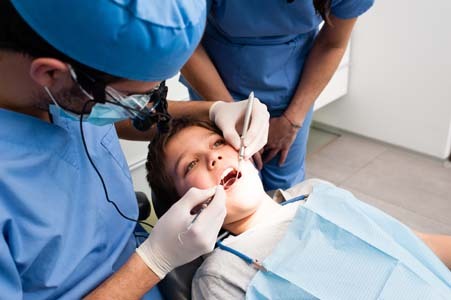 When you consider that 27.5 percent of the US population has untreated cavities, a number exponentially higher in specific demographics, it becomes apparent why we need more people to be coming in for routine maintenance. If you are one of those people sitting on the fence about visiting your dentist, here is a little incentive. It is now standard practice for your Glendale dentist to offer an oral cancer screening. 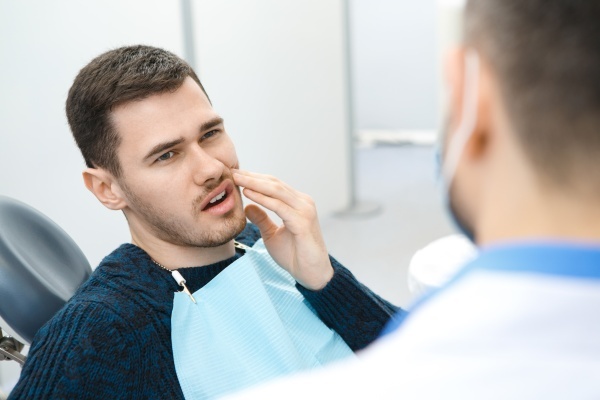 This is because of how common the disease has become, and because as a dentist, we can easily catch the early symptoms, like lesions in the mouth or throat. Catching a condition like oral cancer early means you will have a much better probability of curing it with the help of your dentists and doctors. In addition to this, the mouth acts as an indicator for the overall health of your body. With regular examinations, we can make critical determinations, like if you have a vitamin deficiency or if you need to increase your consumption of water throughout the day.